Betty Amos was a hillbilly artist who once was a part of The Carlisles act. She was born and raised near Roanoke, Virginia. She was also known to be a bit of a comedianne while on stage. 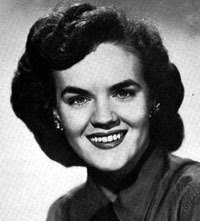 In the 1950s, she was recording with the Mercury label and appearing on the KWKH Louisiana Hayride.